With the company motto: “Unabashedly organic, planet saving clothes” Barley & Birch, makers of organic children’s clothing, raises the eco-friendly bar with their unique apparel for tots that is as aesthetically refreshing as it is green. Barley & Birch’s line of children’s clothing is scientist-created, artist-designed, fresh and hip. We love the vibrant, graphic designs featured on their clothing, especially the Saguaro cacti and the Golden Gate Bridge. Green energy powers their production and their computers. Other energy use is offset. The company has an almost paperless office (paper that is used is 100% recycled). All of their clothing is made in the U.S. with 100% certified organic cotton and water based inks. 15% of company profits are donated to carbon-reducing initiatives while another 10% is donated to organizations that strive to improve people’s lives around the world. The Barley & Birch collection includes organic hats, one pieces, lap tees, tanks, pants, and tees. Each piece is available in a number of fun design choices. Many other original design styles are available as well. You can snag a set or mix and match to create a fun look. Pieces are currently available in sizes 3-6 months up to size 6. Kyle, Barley & Birch’s founder, says that they’d like to expand the line up to size 12 soon. This is great news, because great organic clothing is super hard to come by for the age groups of 6 years+. We reviewed these fabby clothes from Barley and Birch recently http://www.thegreenfamilia.co.uk/reviewbarley-and-birch-baby-clothes/ and were really impressed with the quality and style, would be sooo happy if they did extend the age group as I am finding it hard finding ethical clothes for my 9 year old daughter. 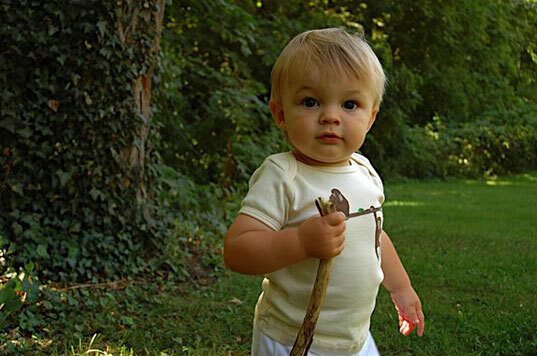 With the company motto: "Unabashedly organic, planet saving clothes" Barley & Birch, makers of organic children's clothing, raises the eco-friendly bar with their unique apparel for tots that is as aesthetically refreshing as it is green. 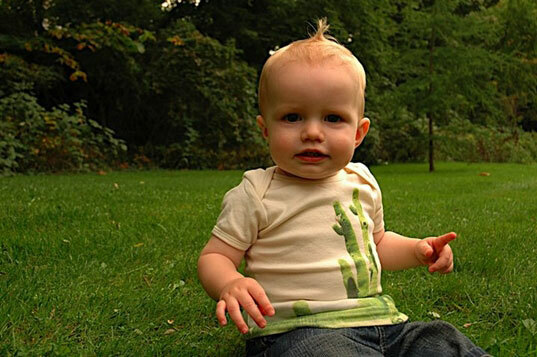 Barley & Birch's line of children's clothing is scientist-created, artist-designed, fresh and hip. We love the vibrant, graphic designs featured on their clothing, especially the Saguaro cacti and the Golden Gate Bridge.